2019 os an exciting time to be a metal fan! 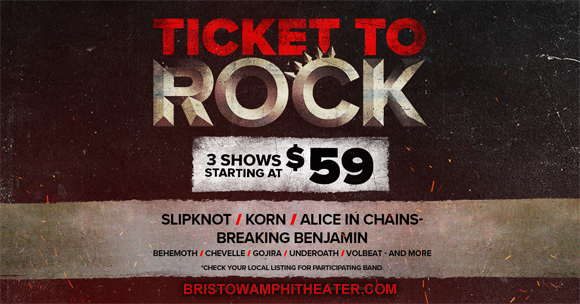 This year's Ticket To Rock gives metallers the opportunity to rock out to Korn & Alice In Chains, Breaking Benjamin, Chevelle & Three Days Grace and Slipknot, Volbeat, Gojira & Behemoth – all at Jiffy Lube Live for just one bargain price! Offer ends on Monday 29th July 2019, so don't delay!